Marcella and David got married at the wonderful Seacliff beach. After a cloudy morning, the sun came out just in time for their wedding ceremony. It turned out to be a beautiful afternoon at the beach with hardly any wind, blue skies and warm sunshine. Marcella walked down the aisle to Christina Perri’s ‘A thousand years’. After exchanging their vows Marcella and David conducted a sand ceremony, which expresses the coming together of two people or two families into one new family. Marcella and David each had a bottle full of sand and poured it into one clear heart shaped frame. Stevie Wonder’s ‘Signed, Sealed, Delivered’ was the perfect song for Mr and Mrs Williams to walk out and receive many hugs and kisses from their happy families. After a short break while the couple was taking pictures and guests were enjoying drinks at the bar of the Brighton and Seacliff Yacht Club, I welcomed all guests to the wedding reception. Decorated in blue and yellow combined with the stunning views of Seacliff beach, the room of the Brighton and Seacliff Yacht Club provided the perfect ambiance for this intercultural wedding. Marcella is Indonesian and met David in Australia. After Australian wedding traditions such as an Australian wedding ceremony, the wedding party entering the reception and the cake cutting it was a lovely surprise for the guests to see a traditional Indonesian dance. Absolutely stunning! After the wedding cake was served I invited the happy couple onto the dance floor for their first dance as husband and wife. They danced beautifully while I had the absolute honour of playing Ed Sheeran’s ‘Perfect’. After a few great dance songs the couple decided to have an early night. Family and friends gathered outside of the Yacht Club, formed a walkway and sent the couple home with sparklers. What a great way to end such a beautiful wedding! Congratulation Marcella and David on your wedding, I wish you all the best! You are a wonderful couple and blessed with so much love and support from your beautiful families. Thank you for having me as your musician, DJ and MC, it was such an honour. 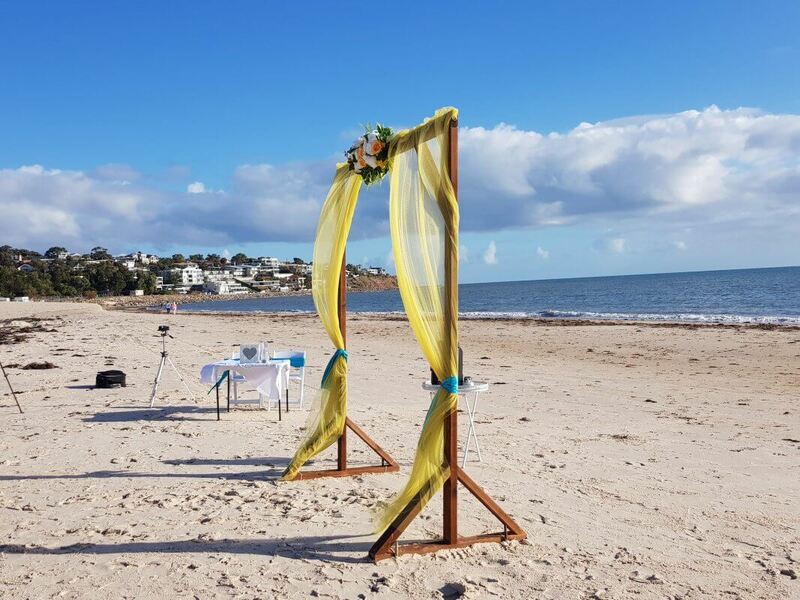 This entry was posted in Weddings and tagged acousticweddingsinger, aocusticweddingmusic, beachceremony, beachweddings, interculturalweddings, weddingDJadelaide, weddingentertainmentadelaide, weddingmusicadelaide, weddingmusicianadelaide, weddingsadelaide, weddingsingeradelaide.